After so many adventures hiking around Lake Garda, we decided it was time to try something different – Lake Garda by mountain bike! Here are two amazing trails we got to know in occasion of the EMTB (Electric Mountain Bike) festival in Torbole! 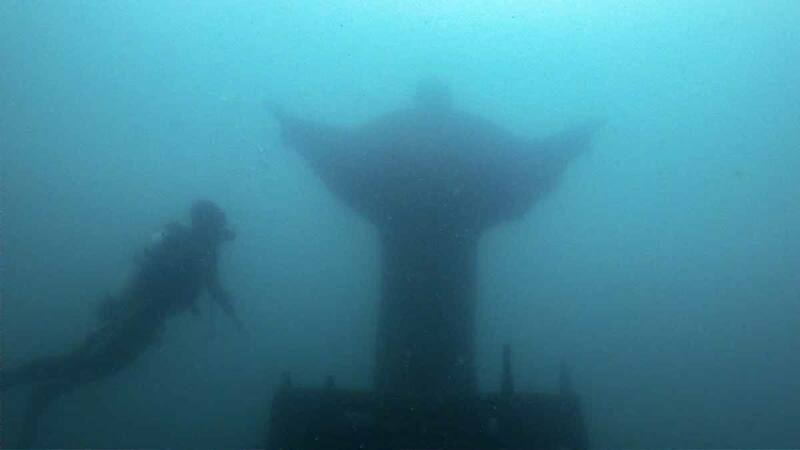 Our love for Lake Garda is no secret. There’s truly no other place in Italy where you can enjoy adventure all year round, and where you can enjoy a multitude of activities without travelling far – you can go climbing in Arco, hike GardaTrek, or enjoy sailing and windsurfing in Riva del Garda, all within less than half an hour drive from one another. Yet, even after so many visit, there was still an activity we hadn’t tried. 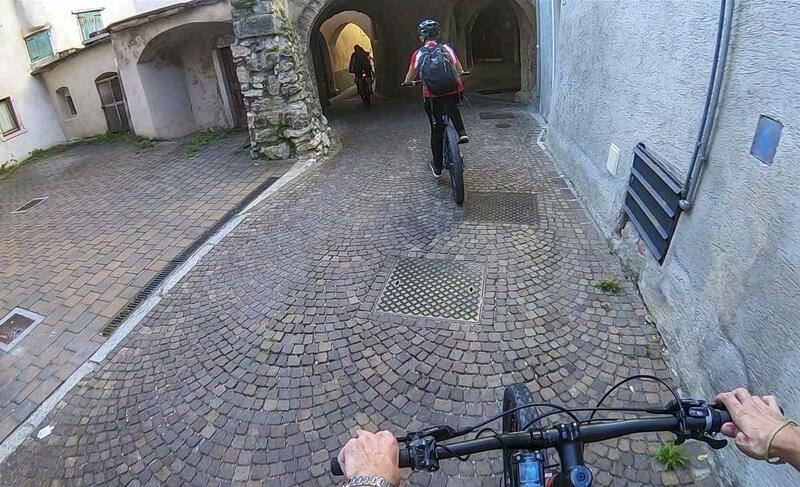 An activity that attracts thousands of visitors to the Lake Garda shores each year – mountain biking. During our first visit back in 2015 in occasion of a Lake Garda adventure weekend, we rode along the Sarca cycle path, one of the best easy cycling option in the northern Lake Garda area, but we did so on a ‘regular’ bike. Yet, we always wanted to try ‘proper’ mountain biking – riding up to scenic lookouts over the lake, then zipping down single tracks in the forest, jumping over rocks and tree roots. 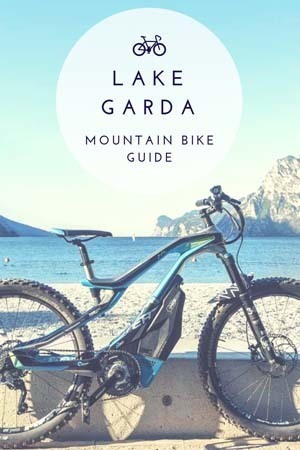 Why is Northern Lake Garda Great for Mountain Bikers? The northern Lake Garda region is one of the best places in the world for mountain biking – there are challenging trails like the super-steep Val del Diaol and famous Ex-Seicentouno (601) down Monte Altissimo, that we passed during our scenic GardaTrek hike in spring, but also lots of easier options if you’re a beginner mountain biker like us. Lake Garda is mountain bike paradise! The scenery is probably the main reason why Lake Garda is such a popular mountain bike destination. 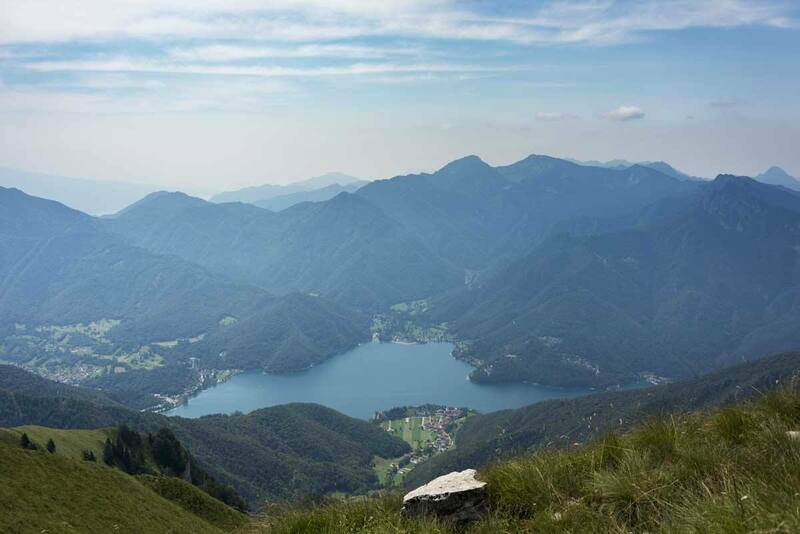 The northern shore of the lake is surrounded by peaks touching 2000 meters, offering riders the thrill of seemingly endless descents on panoramic paths and shady forests, followed by a swim or gelato on the lake shore. Mountain bikers can choose between 44 official trails, ranging from comfortable, wide forest roads perfect for beginners, to old military tracks and twisty single paths, for a total of over 1300 kilometres. 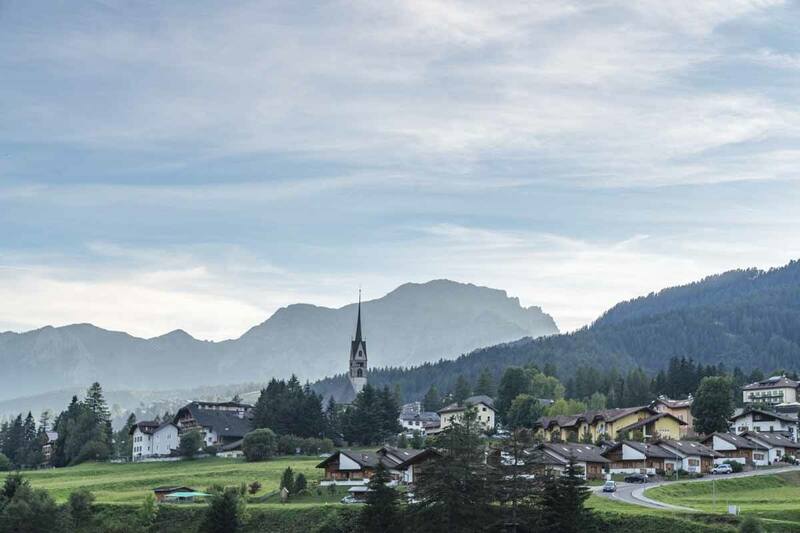 The area is well suited to the needs of mountain bikers, with bike shuttle services, bike rental and repair shops, and many bike-friendly hotels. Electric Mountain Bikes – What Are They? Alongside regular mountain bikes, bike shops have started offering electric mountain bikes to rent or buy over the last few years. Just like regular mountain bikes, their electric counterparts have wider tires, gears and generally speaking a sturdier build, ideal to tackle rocky, uneven trails with roots, rubble and other obstacles. The idea behind electric mountain bikes is making uphill cycling easier, therefore allowing amateur mountain bikers to make it to places they would’t be able to get to otherwise. So much easier on an eBike! Naturally, this has sparked a considerable amount of debate within cycling communities. 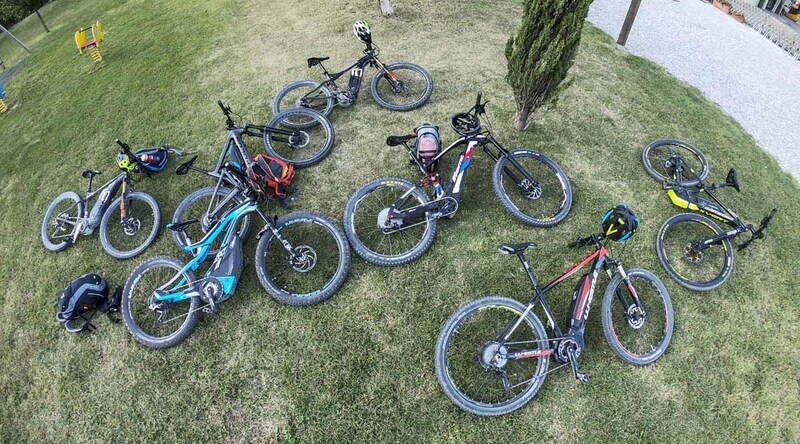 Personally, we are in favour of electric mountain bikes and electric bikes in general, simply because they allow an increasing amount of people to enjoy the outdoors, which can only be a good thing – provided everyone remains responsible. We rode electric bikes twice before, in Edmonton and in Levanto near Cinque Terre, but it was our first time on electric mountain bikes. We timed our visit with EMTB Adventure, a three-day event to promote discovering the northern Lake Garda region on the saddle of an electric mountain bike. EMTB – perfect for lazy people like me! 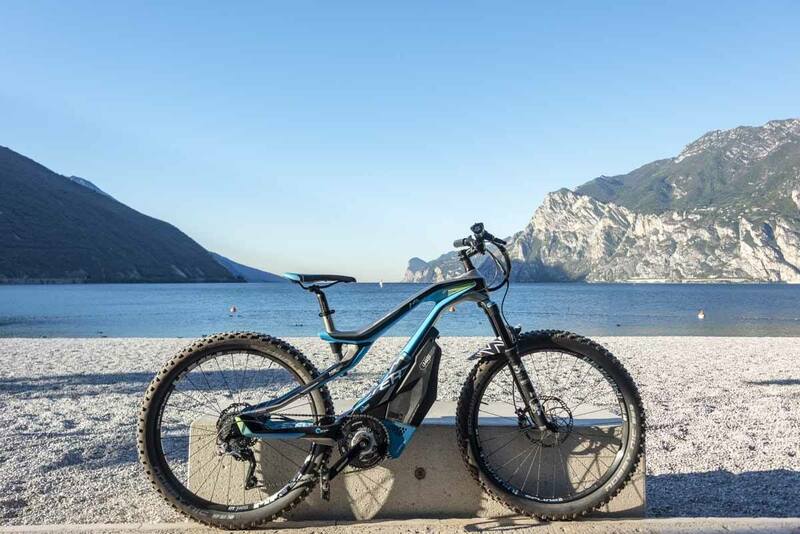 Every day, a choice of guided electric mountain bike tours took place, covering some of the best locations around northern Lake Garda. 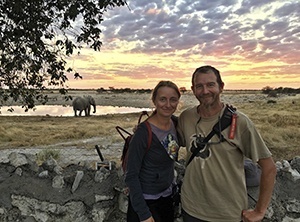 Tours were divided between ‘easy’ and ‘difficult’, with the former around 35-40 km length and 1000 m altitude difference, and the latter usually over 45 km and 1500 m altitude difference. It’s important to point out that the easy vs difficult classification didn’t just depend on length and uphill climb, but also on technical difficulties like slope, terrain and obstacles. Riding all the way to… lunch! 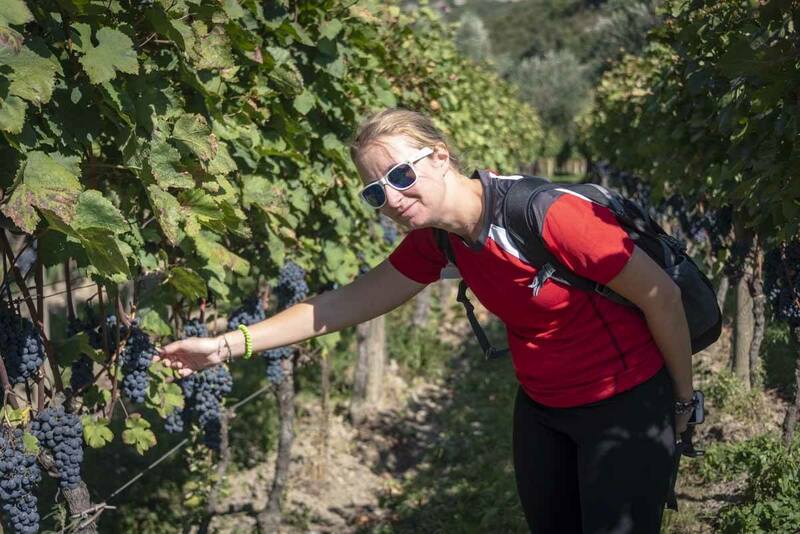 The price to join a day tour at EMTB Adventure is €100, which may sound quite steep, but it included guide, equipment, lunch and aperitivo, showcasing some of the best local food and wine. And when I say ‘equipment’, I don’t just mean any old eBike – all participants had the chance to test a high-performance electric mountain bike. To give you an idea, mine was Das Sterzing GT by M1 Sporttechnik, which retails for about €5000! Our choice for the EMTB Adventure day was the ‘easy option’ of the Sarca Valley tour. 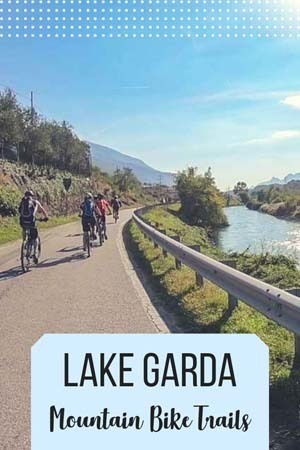 The Sarca River feeds into Lake Garda from the Brenta Dolomites further north, and a cycle path was built along it, making it one of the best and easiest bike paths near Lake Garda. We followed the bike path from the departure point in Torbole all the way to Dro, where we turned into a dirt path heading uphill overlooking the Marocche di Dro, a boulder field of glacial origin. The dirt path varied from wide and comfortable to steep and rocky – the electric bikes were a real help, but we did find ourselves having to get off and push various times, when we couldn’t get the right gear/motor combination on the steepest uphill stretches and ended up losing momentum. We also rode past the famous Arco falesie (climbing crags) and the Becco d’Aquila base jump location, where we saw a couple of jumpers braving the abyss. Then, after descending through the village of Pietramurata, we followed the road all the way to Pergolese where we had lunch at Cantina Pisoni, a biodynamic winery. After lunch and a few excellent glasses of wine, we rode back on the opposite side of the Sarca River – first, we made a stop at Lake Cavedine, a stunning turquoise lake ruffled by the afternoon wind, and then we entered a forest with a hair-rising (for me, at least) single track, climbing up and down. By then we’d got the hang of our electric mountain bikes, so we found the second offroad section definitely more enjoyable than the first! After leaving the forest we rode through olive groves and vineyards all the way to Arco, where we had coffee at local micro roastery Omkafe and then aperitivo at Madonna delle Guardie, a wine and olive producer, and also one of the best restaurants near Riva del Garda. Out of all the options, our tour was the one with the most food and wine stops – can’t say it was a bad thing! Our friend Martina from Pimp My Trip opted for the easy Monte Calino mountain bike tour, covering an itinerary very similar to those we did during our winter hike along Garda Trek to Rifugio San Pietro. 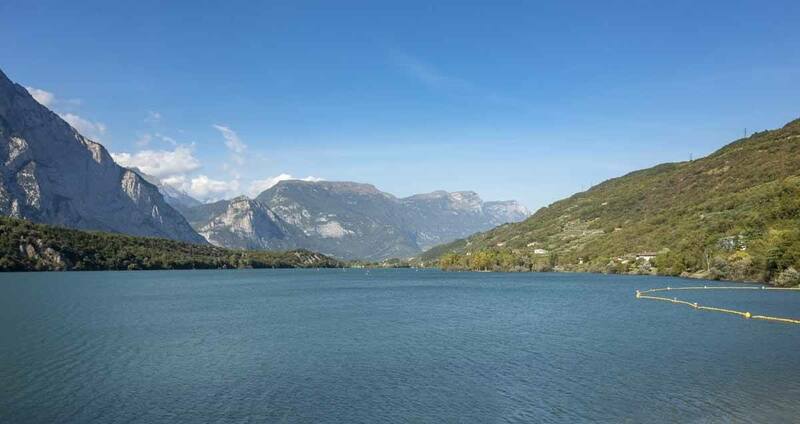 The group rode along the lakefront cycle path all the way from Torbole to Riva del Garda, and then turned inland crossing a spectacular scenery of silvery olive groves overlooking the sparkling lake all the way to the village of Pranzo. Then, they continued uphill to Lake Tenno and its clear azure waters, where they had a break. Lake Tenno is truly one of the most beautiful sights in the region, and could very well be the highlight of this route – were it not for the fact that the route also crosses the photogenic medieval village of Canale di Tenno, with its cobbled streets and painted façades. Martina and her group continued a through a steep section through a forest all the way to Rifugio San Pietro, set in a scenic location on a natural ‘balcony’ overlooking Lake Garda, where they had lunch. 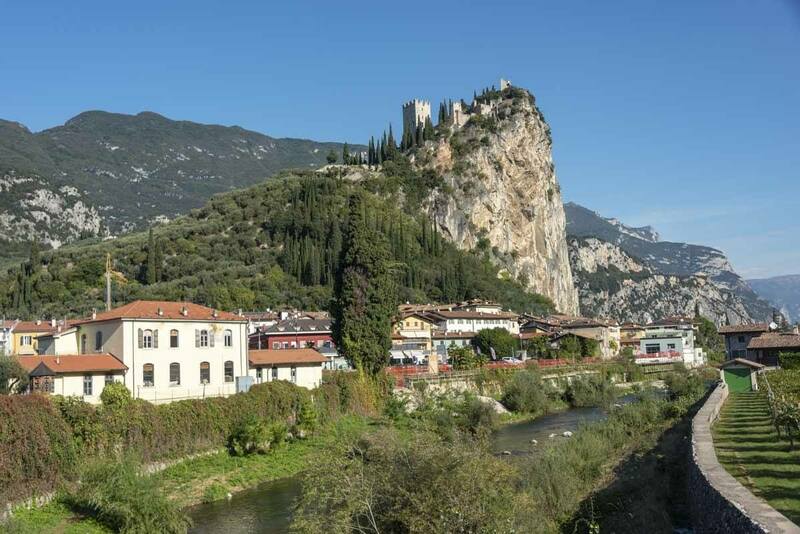 The downhill section included a mixture of road and trail cycling through fields and forests, all the way through the town of Tenno and finally Arco, where they had aperitivo before following the Sarca cycle path to Torbole. 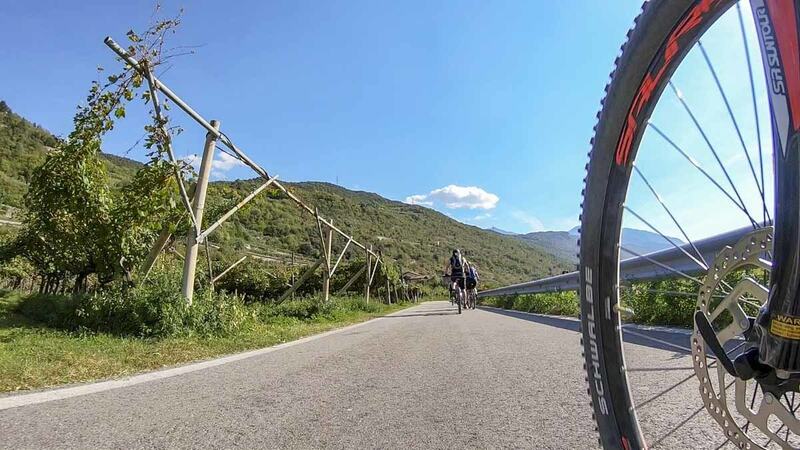 The best known mountain bike path in the northern Lake Garda region is definitely the Sentiero del Ponale, a super panoramic road overlooking the lake and snaking up to Lake Ledro, the lake we visited during our three summits in a day hike to Rifugio Pernici. Ponale used to be the only road connecting Lake Garda and Lake Ledro until 1990, when a larger road was opened, and in 2014 Ponale was turned into a hiking/cycling track. It starts just behind the hydroelectric power plant in Riva, before snaking its way up and across the mountains overlooking Lake Garda, via a series of tunnels and trails carved into the rock. 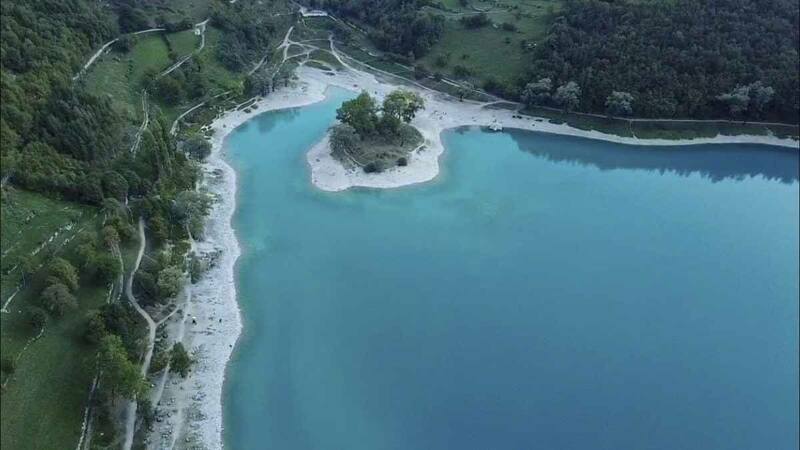 Along Ponale you’ll also encounter some wartime fortifications, since the northern shores of Lake Garda used to mark the border between Italy and the Austro-Hungarian empire during World War I. 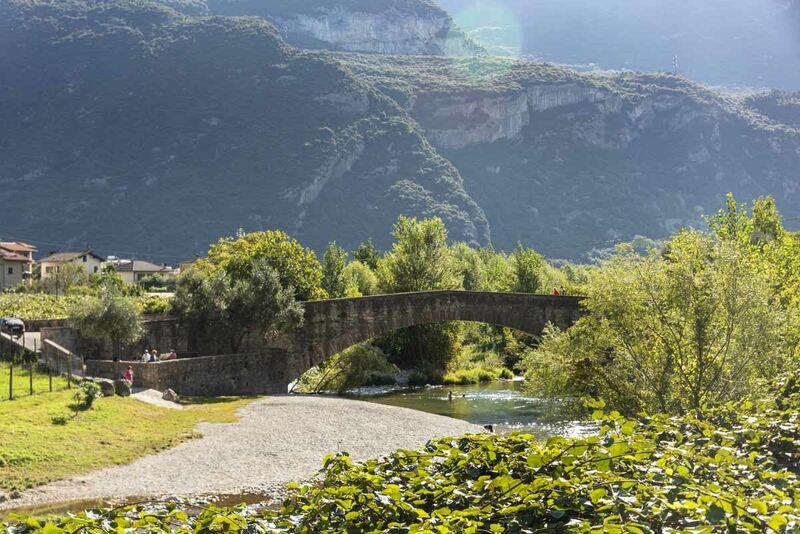 However, the main attraction of this path are the scenic viewpoints over Lake Garda. One switchback after another, the lake gets smaller and smaller down in the valley, until the trail crosses over to the Ledro Valley, via a bridge spanning a narrow gorge. It’s a fairly easy trip by ‘regular’ mountain bike, since it’s only 10 km long and not too steep – the average gradient os only 5%, so it would be even easier on an electric mountain bike. 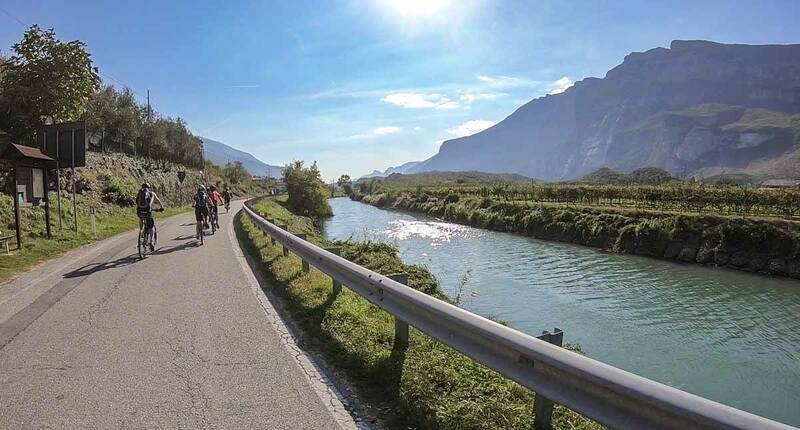 The main downside of cycling the Ponale is that it’s very popular, so if you’re planning on doing it, please avoid summertime and weekends! There are lots of bike shops where you can buy accessories, spare parts, repair kits and the like, as well as rent/buy quality mountain bikes and electric mountain bikes. We rented equipment from Carpentari in the past, and were very happy with the quality of their products. 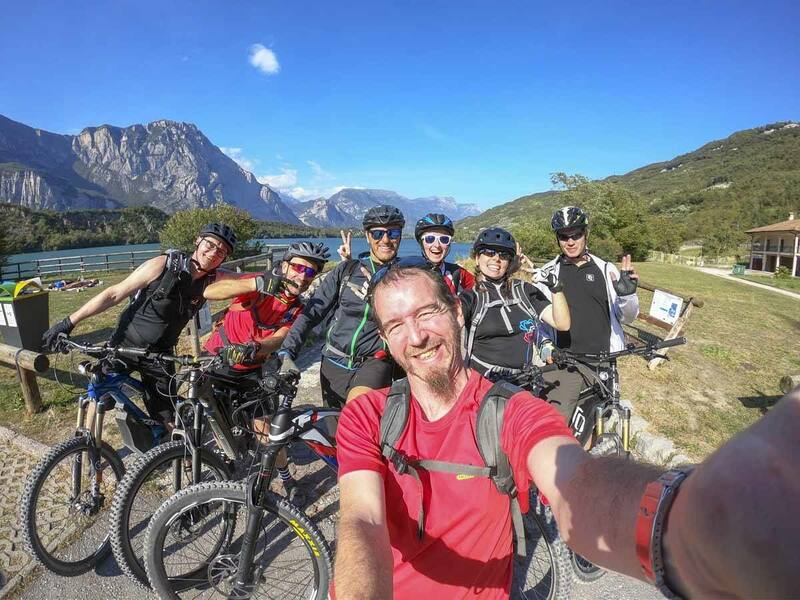 For those who like to ride downhill but don’t want to bother with going up, we recommend checking out Torbole Bike Shuttle, run by friendly Luca who also joins his clients on a bike ride every Thursday! Other good bike shuttle operators are Michael from Riva Bike Shuttle and Davide from Garda Bike Shuttle in Torbole. If you’re looking for a bike guide, you can get in touch with Carpentari or Mmove in Arco. We recommend heading to Lake Garda between late September and May if you’re planning to go mountain biking – summers can be incredibly hot. Many hotels in Torbole and Riva del Garda offer excellent facilities for mountain bikers and cyclists, including locked bike storage, repair kits available, info on bike trails and even some local experts working at the reception! We warmly recommend these hotels if you’re planning to go mountain biking around Lake Garda! Hotel Rudy – a great budget-friendly option! Du Lac et Du Parc Grand Resort – if you need to spoil yourself after a challenging ride! 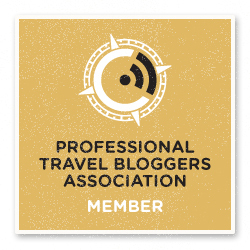 We would like to thank Vale Bellotti from GardaTrentino for making this experience possible, and Martina from Pimp My Trip for being a great travel companion.